Letters are a necessary medium in business correspondence. They provide a more solid form of transaction that is most preferable in certain situations such as exchanging information. Letters are reliable and economical which makes them every businessman’s go-to. They are also a great way to maintain goodwill since they can be helpful in reducing the barrier between you and your clients. You may also see examples of modern logo design. Letters are also considered an alternative to personal visits. Instead of wasting significant time on going door to door to all your clients (not everyone is within a walking distance from you and consider the traffic! ), you can just express your purpose through a letter and use the time on other priorities instead. You may also like abstract logo designs. Aside from being cost-effective, formal letters are also great at keeping secrets. Only the sender of the letter and its receiver are to know about the contents! Why rely on the Internet that cannot assure you a hundred percent secrecy when a piece of paper can do the job better? Given all of a letter’s uses and importance in a company, it seems only right that it be treated with the same substance that it holds. Which means that you should put some thought in creating it since a letter is considered as your company’s voice as well. 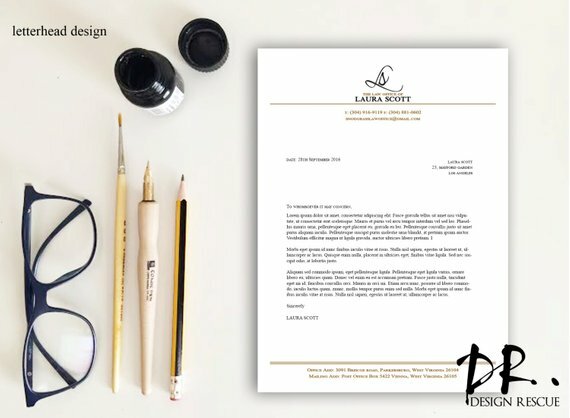 What Is a Letterhead and Why Is It Important? A letterhead is one of the most important aspects of your simple letter. It is basically a heading placed on the topmost part of your document that contains your company or business’s name, address, corporate design or logo, and sometimes even a background or pattern. Your letterhead is probably the only graphic design on your letter (the rest will most likely be words printed in black), which means that it’s most likely to be the first thing that your letter’s receiver notices. 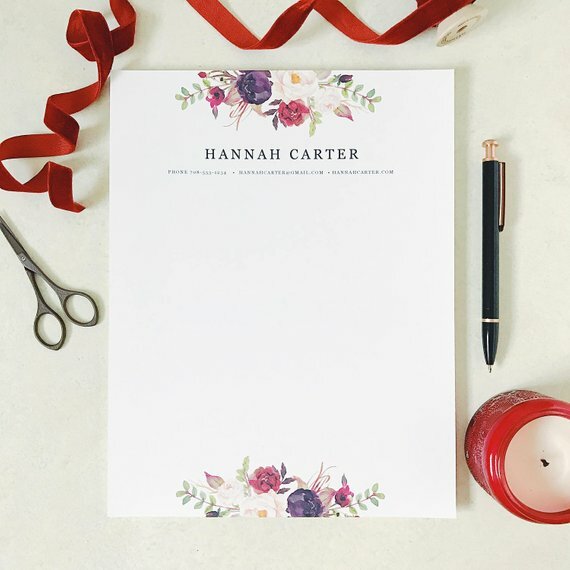 Which would also mean that as unremarkable as letterheads usually are, they should be a well-designed element in your general letter since they help you create a first impression on your audience, and you want to be remembered well. 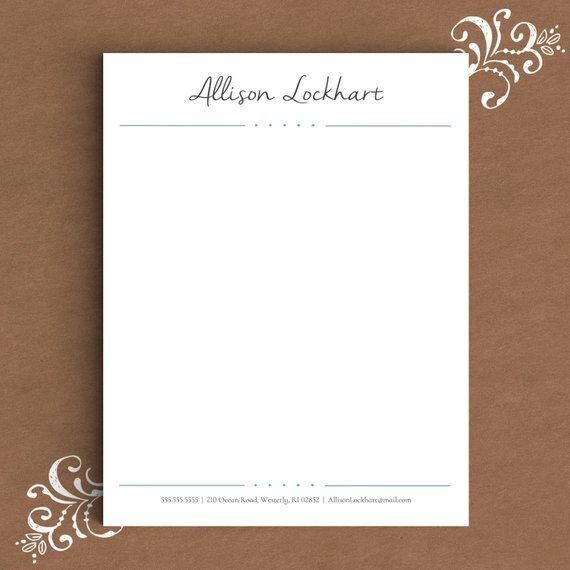 If you use a catchy phrase or a unique logo as your letterhead, there is a bigger chance that your clients will remember you. They are also a great way to introduce and brandish your company’s identity since they will basically be ubiquitous in all of your important documents and company materials. 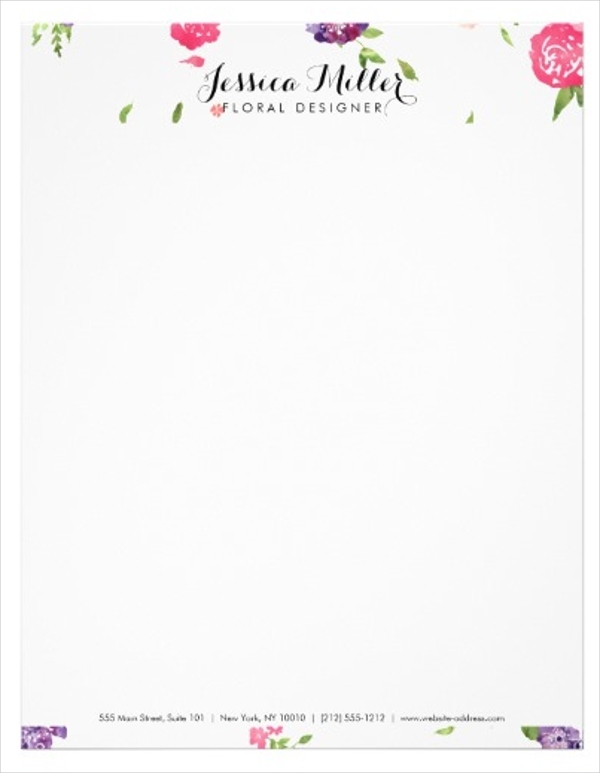 They can help people recognize you from other businesses since your letterhead is unique to you. The smart goal is to establish your company’s corporate identity on people’s minds so that, when making correspondence or simply seeing your letterhead, people will know it’s you. These can also help in making your customers see your company as trustworthy and reliable and be convinced that your business is earnest. Seeing a letterhead will give your clients the impression that you are sincere about wanting to make an identity for your company. 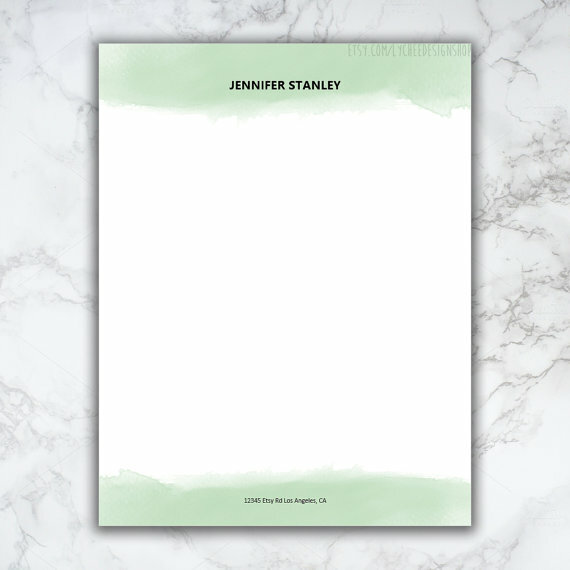 A well-designed letterhead will also make your letters more professional which can help persuade prospective clients into giving your business a try. You may also see examples of business logos. 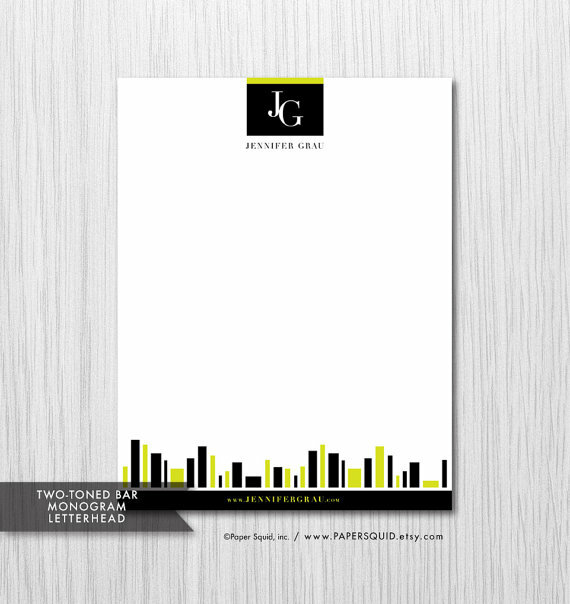 A letterhead is also a great representation of your image as an office. It adds visual elements to typically boring letters. 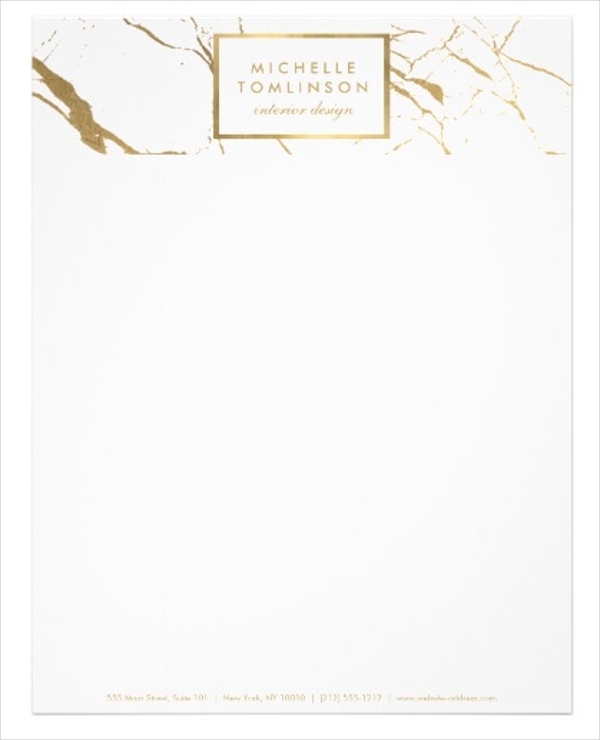 Letterheads, too, can be a form of advertisement. If well made, your letterhead can pique curiosities and develop interests that may attract potential customers and strengthen relationships with existing clients. You may also like examples of restaurant logo. 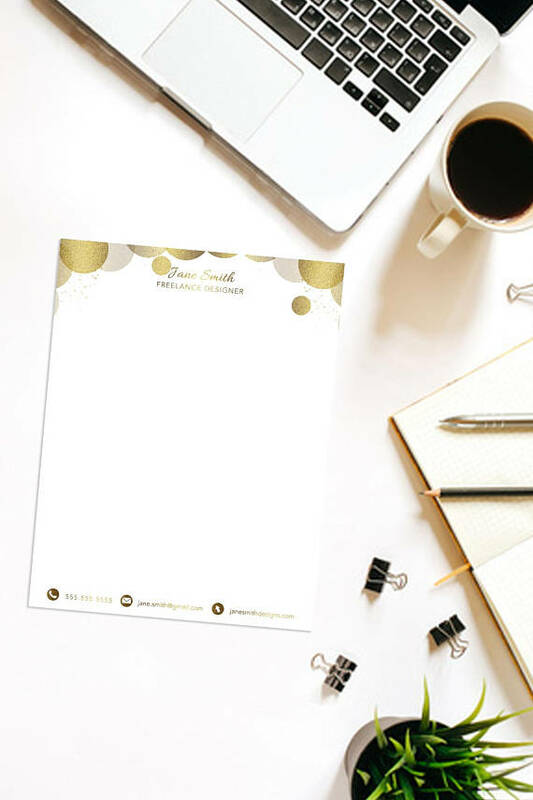 But, most importantly, letterheads hold your company’s basic contact information, and attaching them on your documents can be a way to spread the news! It’ll be easier for clients and clients-to-be to contact you since your details are all stylishly printed on your letter. 1. Start with a logo. Logos are the easiest, most effective way for people to remember you (especially if your company name is a mouthful). Having a visual to attach to your company name is an effective advertisement as well since they can be easier to remember! Plus, logos are a company message spoken with a loud, booming voice because these things can be attached ANYWHERE, which means they have a wider audience and that’s something you need for your company’s marketing. You may also check out flat logo designs & examples. Logos also indicate ownership. People will automatically know that you own the product or the service with your mark on it. A well-designed logo complete with graphics and colors will help you attract clients, or at least make them want to check your company out! These symbols can also make your company more distinguishable from competitors. Point is, logos are necessary to your company’s image, which means that you should take extra pains in designing one. You might be interested in wedding logo design examples. Your logo will represent you. It will always be how people will see your company. So before you design your letterhead, create your company logo that can encompass the brand vision you want to tell the world. Or not. This step is completely up to you. But in the task of being easily remembered by an audience, a catchy phrase is another way to go! 3. Consider your letterhead’s size. When starting with a blank page, it is better to measure how big that space is so you can estimate the elements you need to fill it. 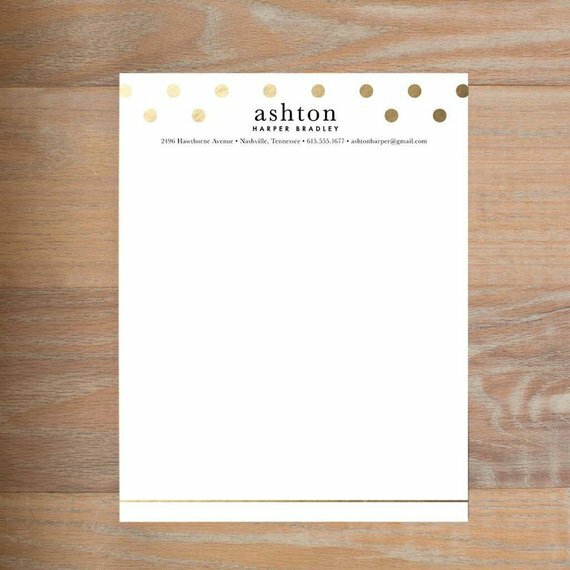 Choose a perfect size that will accommodate everything you need in your letterhead without it being too big to take up much of a paper’s space or too small to be too nondescript. You may also see examples of corporate logos. 4. Choose your company colors. Monochromatic is so last season. Bright, interesting colors attract more attention and this is exactly what you want for your letterhead. Rely on colors to give your letterhead an added spice. Certain colors, like yellow, blue, and red, have certain psychological effects on people. They give off confidence and optimism that can already set up the tone for your audience. You may also like event management logo designs. Choose colors that can accentuate all the other elements in your letterhead. It is also important that the colors you used on your logo should compliment the colors you will use for your letterhead to make it all look unified. 5. Incorporate your important details as well. Of course, this is your letterhead’s main purpose of existence: to hold your business’s contact information. So include your name, your physical location, your phone number, and email numbers and make sure they are eligible. 6. Make use of the background. Since you can’t shower your letterhead with a lot of illustrations and visual designs, making use of the background will seem like the only other way. 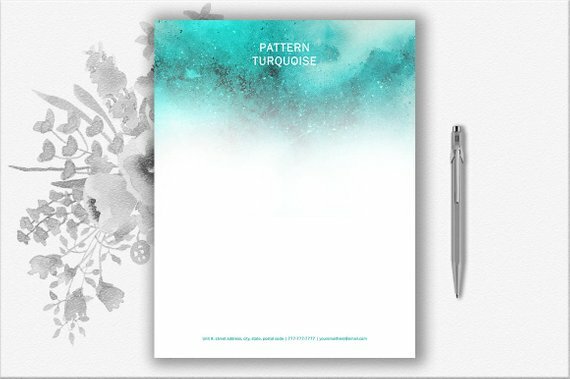 Aside from your company’s logo, pattern can make your letterhead stand out. It will also keep it from looking dull. You may also check out examples of wedding logo. 7. 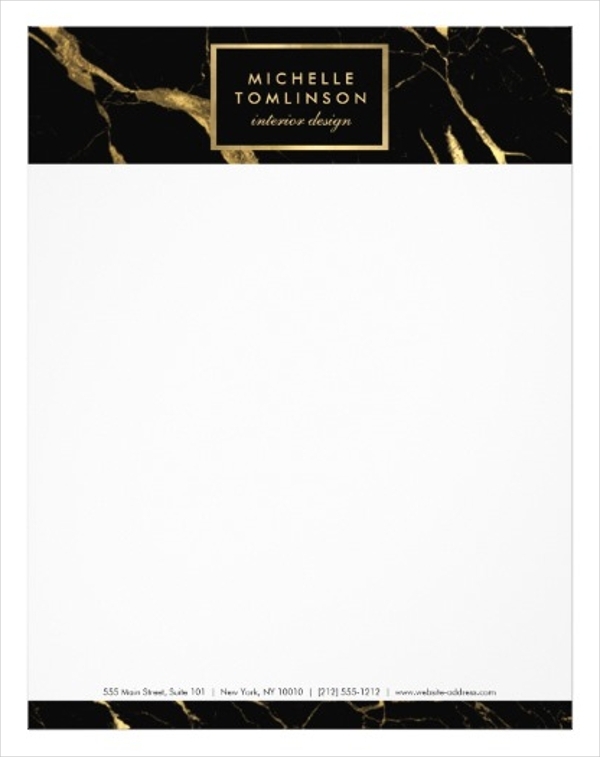 Design an entire stationery set. 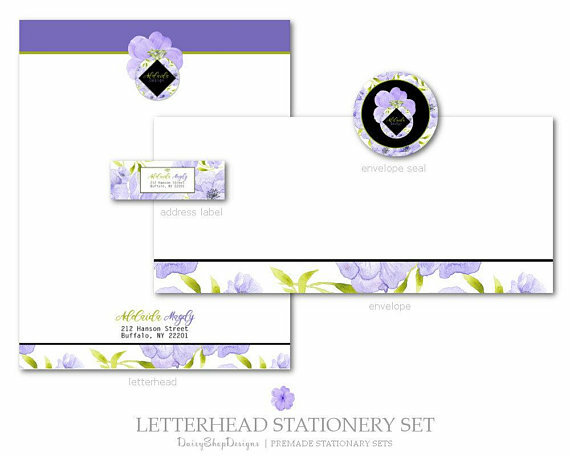 Why should you be satisfied in designing only your letterhead when you can customize an entire stationery set? 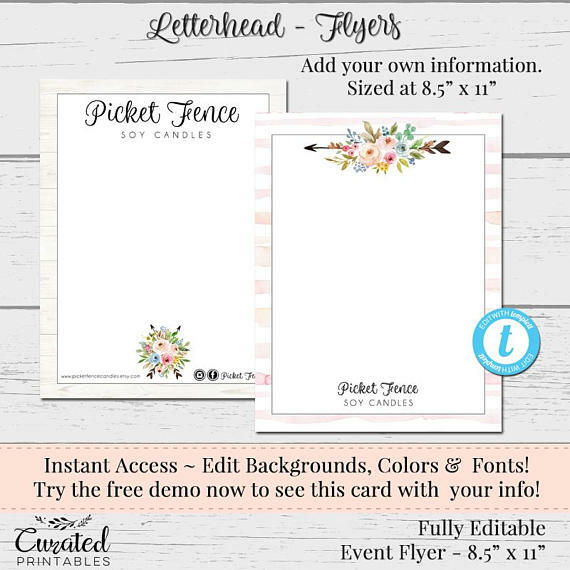 Although it sounds more expensive and more tedious, this can give your letter correspondence more character since your letter now share the same unique look as your envelope, portfolio, and even your business card. This will also make the exchange more memorable for your client since how many people in the business world bother with customization and designing at all? Plus points for uniqueness! Aside from the tips given above, there are also other things you should consider when making your letterhead. First, be careful to choose a particular theme. This is often an overlooked step but it is important that whatever you have going for your letterhead be maintained through all company materials and documents produced. You may also see examples of 3D logo designs. You don’t want your customers to get confused on what exactly is the design you have going for your business. You also want to portray some sort of unity, even in something as small as design. You should also place an important consideration on your letterhead’s audience. Not every design can work for all kinds of audience. Which means that a preppy look with too much bright colors may not work for an audience of corporate businessmen. While a minimalist design with a serious tone may not be effective in an informal correspondence with colleagues or workmates. It will only make you look intimidating and unapproachable. You may also like examples of photography logos. The trick lies in knowing exactly what your business needs in the time when it needs it, and having the ability to successfully respond. A business’s image is the first thing that customers will perceive. It is the initial most powerful factor that will help the clients decide if they will engage with your business or not. Which is why, although they are not the only thing you should focus on (the world knows you have a lot on your plate), it is something you will do well not to neglect. You may also see single letter logo design examples. Before you even have the chance to speak, your corporate image has already spoken for you. Make sure what it says is only an added perfume to your already sweet smell.